Unite is an accelerometer game in the style of those classic ball bearing toys – but instead of getting the ball bearing to a goal/hole you have to unite the ball bearing with another ball bearing. When they do, they increase in size and get heavier. This affects game play as larger ball bearings might get stuck or move slower so it’s easier to focus on the faster smaller ball. You don’t want to be uniting too early otherwise you might not be able to continue with the rest of the levels (of which there are 22). The game varies by adding things like portals, spinning bars, magnets, button activated door gates and one way gates. There might be more. Unite takes the classic balance ball toy to a whole new level! 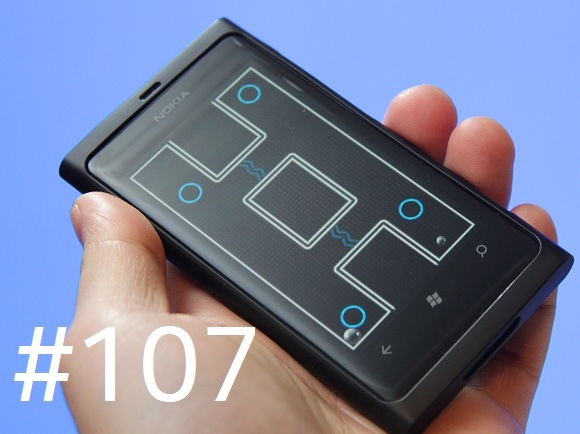 Your Windows Phone 7 is now the balance board. Use the phone’s motion control to guide the balls through tricky obstacles to Unite them together as fast as you can! Standing in your way are walls, blocks, spinning bars, and portals. Careful not to move too fast – or too slow – or gravity will take its effect! Record your best times and play the levels again to see if you can beat it.